Zea mays. Popcorn. 90 days. 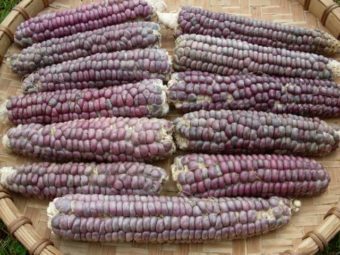 One of the earliest maturing and easiest to grow popcorns. 6-8” ears on 6′ tall plants. 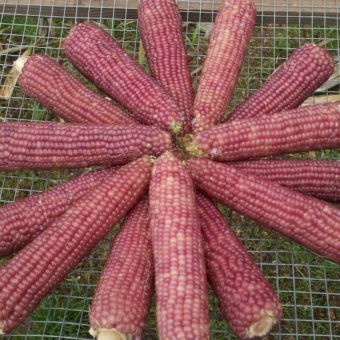 Dark black kernels have a ruby-red, glassy shine when held in the right angle of light. 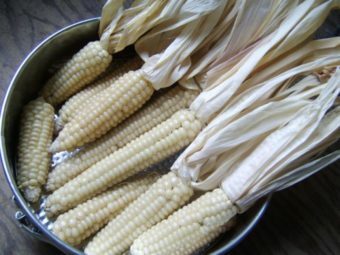 The pointy kernels pop bright white with a small black hull still attached. The flavor is delicious, hearty and crunchy. Many popcorns lack this richness, which gives Dakota Black the ability to act as a meal all by itself. Developed by the Podolls of Prairie Road Organic Farm, seed growers in North Dakota. Aka, Dakota Black Pop.